The Supreme Court on Monday sought to know from the Uttar Pradesh government its response to an appeal against the Allahabad High Court order dismissing a petition seeking probe by an independent agency and refusal of sanction to prosecute Chief Minister Yogi Adityanath in a case of hate speech dating way back to the year 2007. A bench of Chief Justice Dipak Misra, Justice AM Khanwilkar and Justice DY Chandrachud issued a notice to the state government and District Magistrate of Gorakhpur on the appeal moved by Parvez Parwaz through advocate Fuzail Ahmad Ayyubi. Senior advocate Indira Jaising appeared for the petitioner. The matter is now listed after six weeks. The petitioner has challenged the Allahabad High Court decision dated February 22 dismissing his petition wherein the petitioner had prayed for transfer of investigation from the State CID to an independent investigation agency, quashing of order for refusing the grant of sanction against the accused, and a fair and impartial investigation in the case of hate speech. 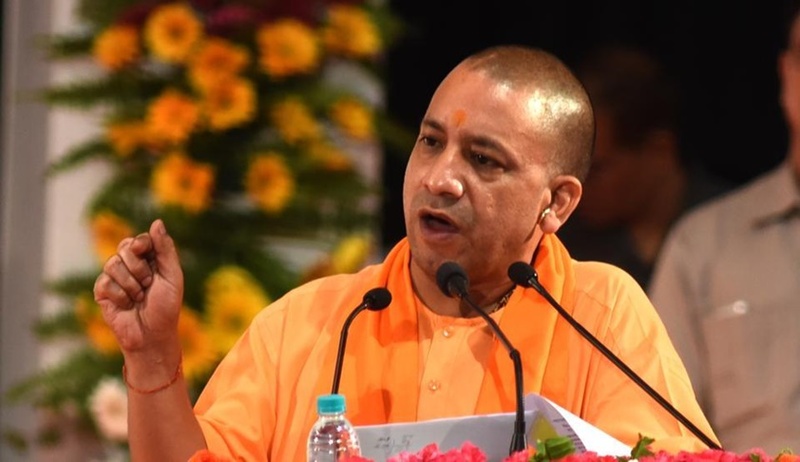 The Allahabad High Court, as well as a Sessions court in Gorakhur, had held that there was no sanction to prosecute Adityanath in the 2007 case. The petitioner said in January 2007, he witnessed Adityanath, who was then BJP MP from Gorakhpur, and others holding a meeting and delivering hate speech which led to riots. A case was registered in 2008 and the probe was entrusted to the CID which completed its investigation in 2015. The CID was, however, refused sanction to prosecute Adityanath. The petitioner moved the high court in 2008 seeking a CBI probe in the matter. The petition came to be dismissed this year for want of sanction to prosecute the Chief Minister. “…the refusal to grant sanction to prosecute given vide letter dated 03.05.2017 is completely arbitrary, irrational and devoid of any authority as such decision for refusing the grant of sanction against the accused is in utter disregard of the principles of natural justice, having been taken by such a Govt., the Chief Minister of which is the very person against whom the sanction for prosecution has been forwarded. The Hon’ble High Court has completely denied the possibility that the decision taken by a secretarial officer of the govt. may have been at the behest of the Chief Minister of that govt. as the same person is the person who will be adversely affected by the grant of sanction for prosecution,” the petitioner told the apex court. He said Adityanath himself had accepted his role in the incident in an interview to a private news channel and it amounted to an extra-judicial confession.